Just a few weeks ago, all you could see were a few ears and noses. 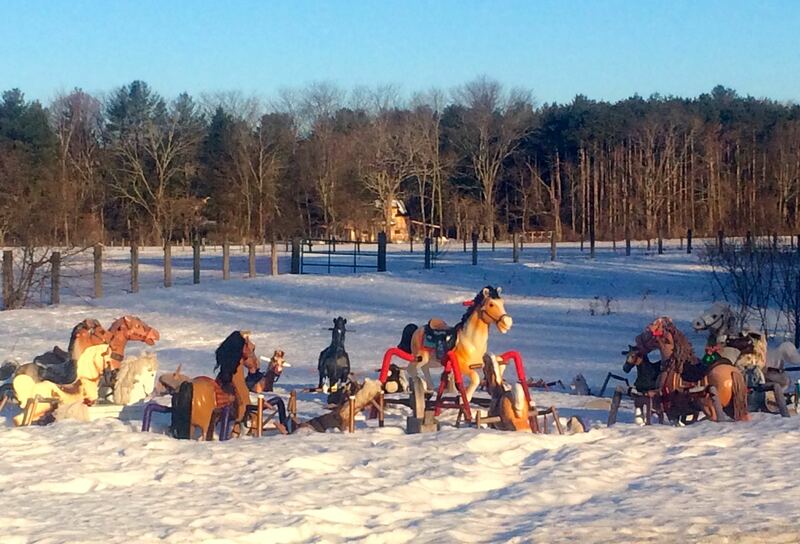 Now the ponies are rising victorious from the snow. The Northeast is finally starting the great thaw and the promise of Spring is in the warmth of the sun, the welcome site of pavement on my driveway, and the massive amounts of horse hair coming off Freedom and Zelda in clumps. I’ve never been so glad to experience shedding! Yesterday the temperatures here in the Boston area were in the high 50s and although we are, once again, expecting a “wintery mix” over the weekend, seeds of hope have been planted. 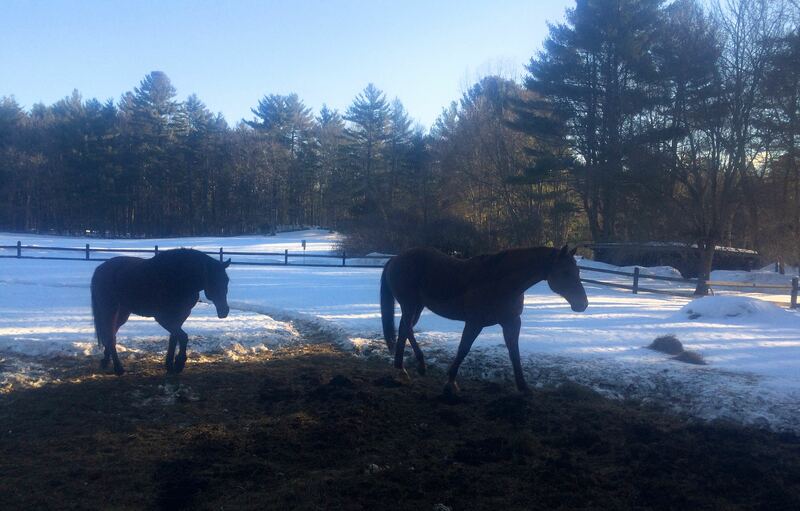 The horses haven’t been blanket free for weeks. For the first time in months the horses are walking around naked. I’d pretty much forgotten what they looked like sans blankets, but I’m happy to report that they are all fat, happy and hairy. They are rolling in the snow with great joy and snoozing in the warmth of the sun. Much though I resent waking up an hour earlier each morning, the extra hour of daylight in the afternoons is a gift.